December 5, 2018 – Golden Harvest Agronomist Charles Scovill and Nicole Heslip with Brownfield Ag News discuss how farmers can prepare for 2019 based on this year’s field issues. ​​​​​​​Source: Nicole Heslip – Reporter – Brownfield Ag News in Jefferson City, MO. 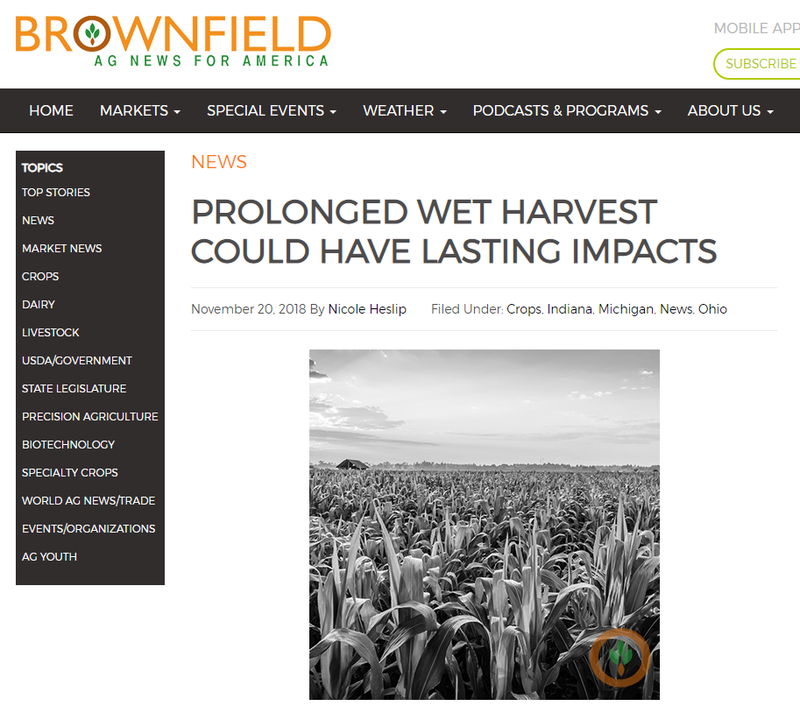 https://brownfieldagnews.com/news/prolonged-wet-harvest-could-have-lasting-impacts/ The Brownfield Network is America's largest farm network, producing agribusiness news, markets and weather for more than 450 radio stations in Illinois, Indiana, Iowa, Michigan, Missouri, Minnesota, Nebraska, Ohio, South Dakota and Wisconsin. Learn more about Brownfirld anytime at http://brownfieldagnews.com.